if yoghurt is sour,gives good taste. Wash and wipe the mango with the cloth and cut them into big pieces. Roast methi seeds,red chillis in little oil.Grind them with coconut to smooth paste. 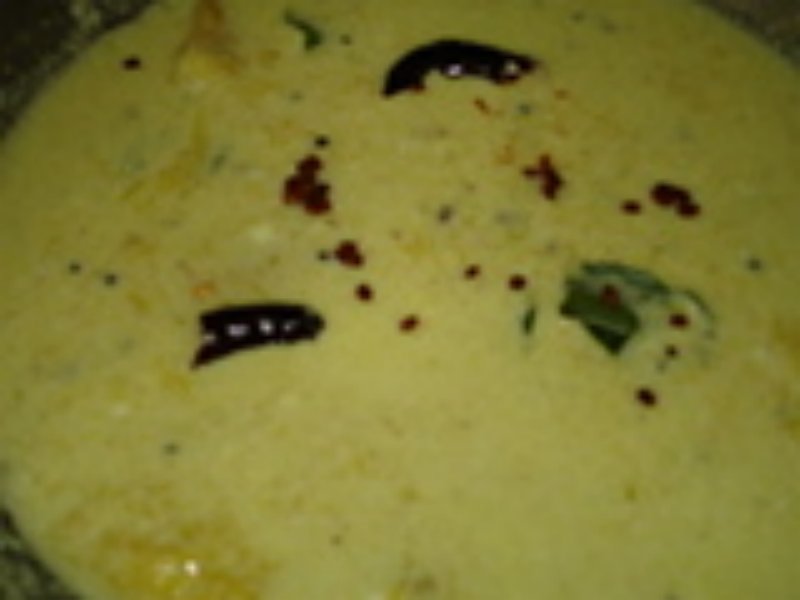 In a kadai,add water,mango & haldi.When it starts boiling add grounded paste. When its almost cooked add salt.Cook for another 3-4 minutes. Switch off the gas and add whisked yoghurt and mix them well. For seasoning,heat coconut oil and splutter mustard,then methi to brownish,add red chill & curry leaves..
Add this to the mango gravy.